Washington (CNN)The State Department has approved a possible deal with Taiwan to renew a $500 million training program in the US for Taiwanese F-16 pilots and maintenance crews. The proposed sale is bound to irritate Beijing, which has long protested US arms sales to Taiwan.”Today’s notification is consistent with the Taiwan Relations Act and our support for Taiwan’s ability to maintain a sufficient self-defense capability,” a US State Department official told CNN. The training program is based at Luke Air Force Base in Arizona and goes back several years. Taiwan scrambles jets to confront Chinese fighters after rare incursionThe $500 million package covers the costs associated with the program including flight training, participation in approved training exercises, training munitions, supply and maintenance support, and spare and repair parts.Read MoreThe proposed sale is unrelated to Taiwan’s reported plans to purchase new F-16 fighter jets from the US, according to the State Department official.Taiwan accused China of “reckless and provocative” action after two Chinese air force jets crossed a maritime border separating the island from the mainland on March 31.The island’s military scrambled fighter planes after it said two Chinese J-11 fighter jets crossed the border within the waters of the Taiwan Strait, known as the median line. 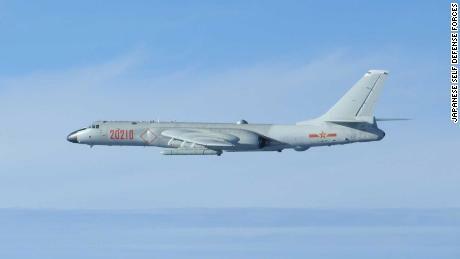 The incident triggered a 10-minute standoff between jets from the two sides.If confirmed as intentional, the Chinese incursion would be the first of its kind in years, said Bonnie Glaser, director of the China Power Project at the Center for Strategic and International Studies.